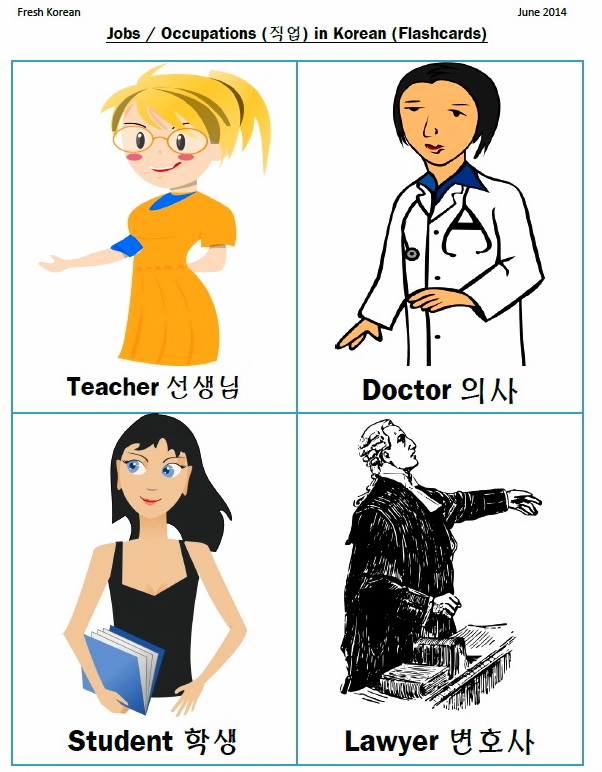 This is part three of a new mini-series looking at different Jobs / Occupations in Korean. This series is aimed towards early learners or Korean Language beginners. Learning some different Jobs / Occupations can be very useful when talking about yourself or asking other about themselves, it’s also useful when building vocabulary and practicing reading. Part 3 is a practice worksheet containing two different questions checking your understanding of the 8 different Jobs / Occupations featured in part 1 of the series (Flashcards Click Here) / and also part 2 (Writing Click Here). This is part two of a new mini-series looking at different Jobs / Occupations in Korean. This series is aimed towards early learners or Korean Language beginners. Learning some different Jobs / Occupations can be very useful when talking about yourself or asking other about themselves.. Part 2 is a basic writing worksheet using the 8 different Jobs / Occupations featured in part 1 of the series (Flashcards Click Here). This is part one of a new mini-series looking at different Jobs / Occupations in Korean. This series is aimed towards early learners or Korean Language beginners. 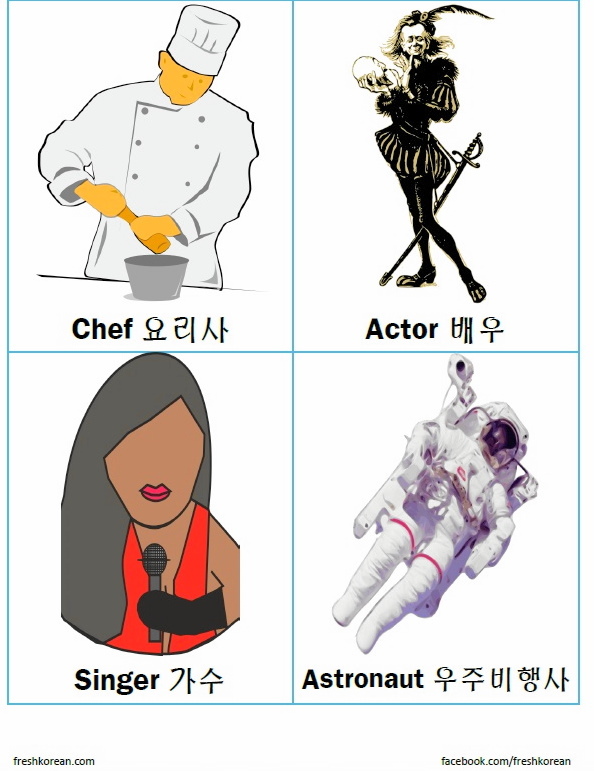 Part 1 is a set of flashcards featuring 8 different Jobs / Occupations. Learning some different Jobs / Occupations can be very useful when talking about yourself or asking other about themselves.